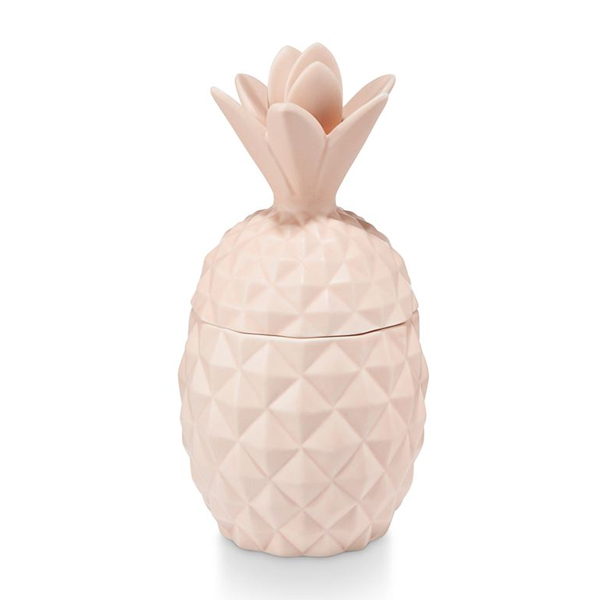 The classic symbol of hospitality and friendship is available in an amazingly scented candle, and once the candle has burned the ceramic pineapple vessel is reusable as a candy dish, change holder or simply a decorative accessory. 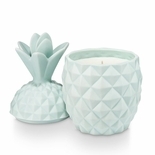 Fragrance features pineapple, mango, papaya, and coconut milk infused with sugarcane and Tahitian vanilla. Burn time is 35 hours.